Can Baby Sign Language Benefit Us? At 3am your 10-month old baby is crying inconsolably at night. “What’s wrong? -- you ask, wishing you REALLY COULD understand her thoughts and attempts to vocalize to tell you what she wants. Around 3:00am you ask your 10-month old infant “What’s wrong?”; she immediately forms her hands to sign “teddy bear”! (Tapping her chest with both hands signifies the act of cuddling a teddy bear or other soft toy. You hand her Mr. Teddy, and gratefully, your baby grabs and squeezes her comforting little bear buddy, and immediately lies back down to sleep. Yes, this is truly possible! Or How about this Cool and Frequently Possible Scenario? At lunchtime, your 8-month old can instantly make hand signs to indicate that he is thirsty, and wants milk (instead of juice or water) with his lunch. Imagine avoiding that potential meltdown due to immediately understanding that your 13-month old is signing that he wants to wear red socks (yes specifically the color red! ); and not the blue socks you have already picked out! Is Using Sign Language With Your Baby a Fad? Seems everyone is talking about using sign language with their babies recently. Be advised, this is not a fad! 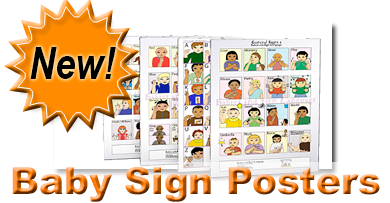 More and more parents, daycares, and preschools are coming on board, to learn and reap the amazing and wonderful benefits of baby sign language everyday. American Sign Language is the 3rd most used language in the United States. Should your baby continue to learn American Sign Language past his or her 3rd year, s/he will have acquired a 2nd or even 3rd language! 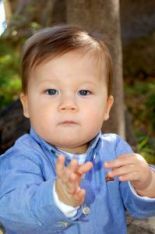 Teaching American Sign Language (ASL) signs to infants (and toddlers between the ages of 6 months to 36 months) facilitates communication between parent/child and/or caregiver and child. When babies learn sign language, this skill provides him or her with a powerful educational tool of earlier communication. Frustration and outbursts are lessened, because baby can immediately communicate his wants/needs until he can physically pronounce it. 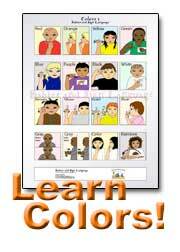 Learning sign language does not delay speech, but in fact aids speech development. Most baby signers speak earlier than babies who do not learn baby sign language. 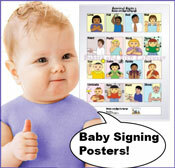 **For more info on the benefits of babies signing please click this link. 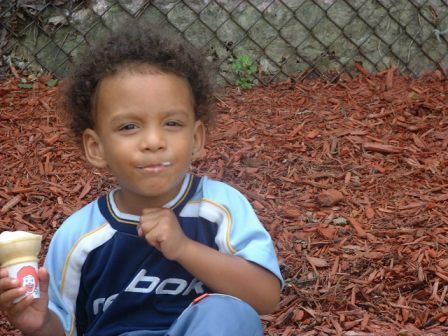 Can Toddlers also Benefit from Sign Language? When should we start teaching our baby signs? Proof in the pudding - video footage of babies signing! Does Baby Sign Language Work? You Bet! Please give video a few extra seconds to load! Subscribe to FREE Baby Signing Newsletter! Don't worry -- your e-mail address is totally secure. I promise to use it only to send you Little Hands Express!.